You’ve probably already heard a lot about the island of Boracay and Boracay beach. After all, it has been consistently named as the top tourist beach destination of 2013 and among the top beach party destinations of 2012, it is no wonder why a lot of people consider visiting the island and staying at one of its many Boracay resorts. However, some people would not consider it as they think they would need a lot of money in order to afford and enjoy the beach and all the activities there. The truth is that it is actually possible to holiday in Boracay even when you have a low budget. Since Boracay can be reached by air or sea, the trick is to know how to get the cheapest mode of transportation. If you are coming from Manila, the capital of the Philippines, you can book a flight from there to Caticlan or Kalibo. Sign up for the newsletter for the airlines in order to receive special offers. The flight to Caticlan is the fastest and most convenient way to travel. The flight is only about 60 minutes, and then a short tricycle ride (one hundred posos) to the ferry to catch the boat to the island of Boracay itself for P125 per person. There are also environmental and jetty fees applicable. Once you arrive on Boracay, you’ll need to catch another tricycle from the hetty port of Boracay to your hotel. Flights to Kalibo Airport are usually much cheaper, but it is further away from the ferry to get to Boracay Island (about 90 minutes). Therefore you will need to buy a ticket for one of the mini-vans waiting outside the airport to transit you to the Caticlan boat port for only P100 to P200. From the port, you can take the boat to the Boracay beach just the same as arriving in Caticlan. For an alternative, you can take the boat from Manila to Boracay. This is the most affordable option because the boats (big ferries) cost only under P1000. Plane fares usually cost between P5,000 to P10,000. From Manila, you need to travel to Batangas by land for about P200. Since the boat trip happens at night time, you will get to have a free “hotel” stay since it will take about 9 hours to get to Boracay. Quite obviously, timing is also essential. When the season is high or at its peak, then charges and fees also increase. It is, therefore, best to come here during the off season from early June to mid October. Though this is the rainy season, you can rest assured that downpours aren’t going to spoil your adventure and the climate is still warm. 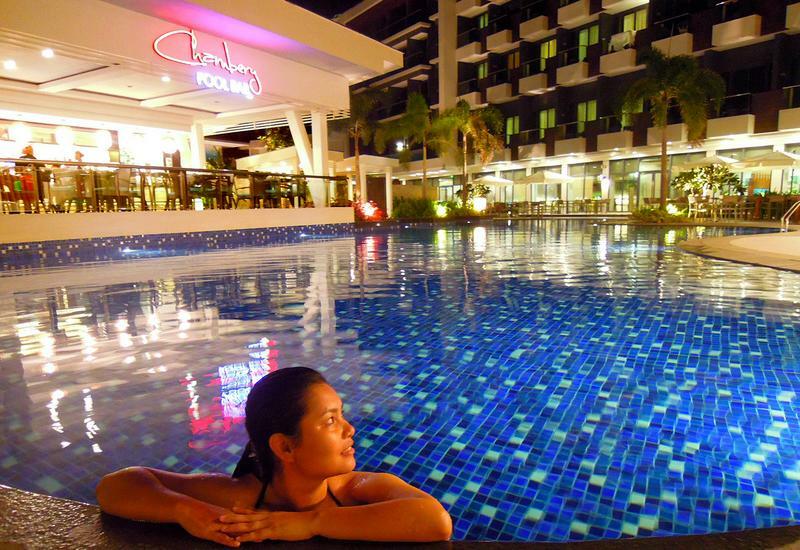 Where can you stay in Boracay? 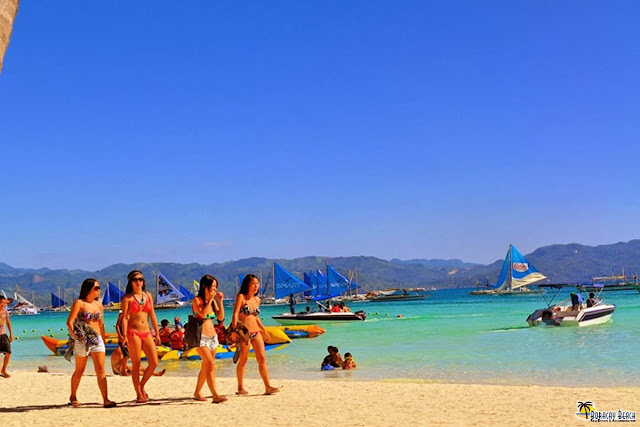 Most of the accommodation in Boracay is spread over three boat stations. Boat station 1 has the finest Boracay hotels and resorts and it is also where you can find the widest and finest sand in the island. Boat station 2 also has some larger resort as well as smaller hotels and is being close to D’mall and popular restaurants. But if you are on a smaller budget, you can find the more affordable accommodation in Boat station 3. There are a number of cheap hotels in Boracay which can be found at Boat station 3 that charge only about P1000 or even less if you opt for the non-air conditioned rooms (which are not really required in low season). And if you are traveling with a group, there are family rooms which can sleep your whole group which will lower the overall price per person. Food will not be a problem. Although there are many upmarket restaurants, there are a number of cheaper restaurants where you can go out for a meal, or alternatively you can purchase your groceries at the wet market and stalls and take it back to your hotel, many of which have kitchen facilities. Some may charge a small fee for use of the kitchen. There is no shortage of activities to do in Boracay. Be sure to bargain with the many activity co-ordinators which offer their services along white beach. Some of the more affordable options include having a beach front massage for only P299, or hiring a tricycle to take you for a tour around the island to see the sights. If you want to be sporty, you can climb the D’Wall at the D’Mall for only P50. There is also of course free-of-charge activities like walking by the beach, watching the sunset, relaxing on the beach, swimming, and snorkeling. I am Kit Cruz of TheBoracay Beach. Travelling and photography are my hobbies. I write articles about Boracay beach of the Philippines and share what this world class beach can offer – sharing some travel tips, latest news and updates, reviews of Boracay hotel and resort and more.